Collection of cool sunglasses and creative eyewear designs that will help you stand out of the crowd. 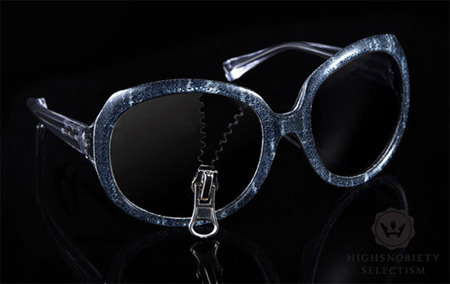 Creative sunglasses designed by Lee Cooper and high-end eyewear brand Alain Mikli. 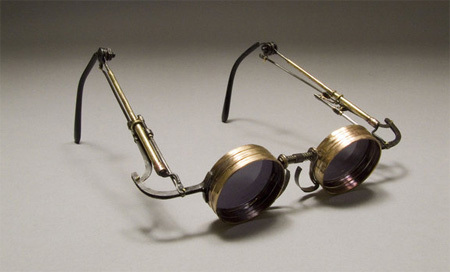 Beautiful and unique pair of glasses styled in a steampunk fashion. Based on ancient Inuit eyewear, each pair of slanties is handcrafted and engineered to be sturdy and reliable. 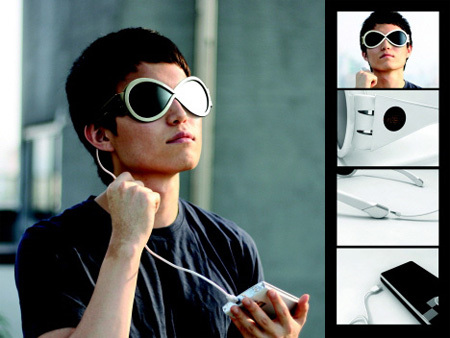 The lenses of these sunglasses include solar cells that collect energy and then allow you to power your portable electronic devices. 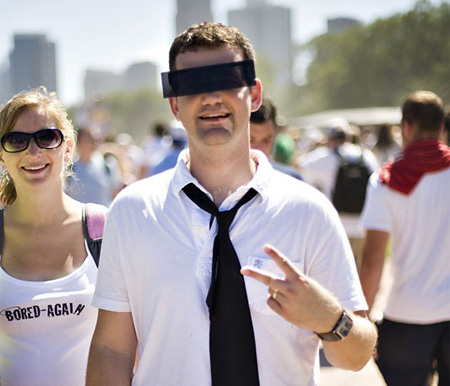 These clever black bar glasses will help you hide your identity. Creative sunglasses from Oliver Goldsmith’s OG Vintage Collection. 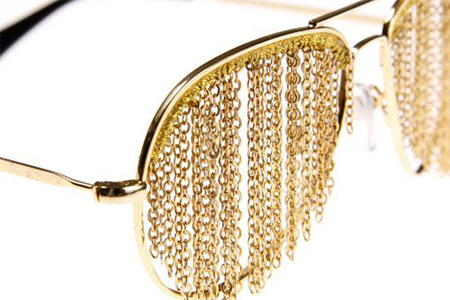 BLESS Duo Fringe glasses from talented design duo of Desiree Heiss and Ines Kaag. 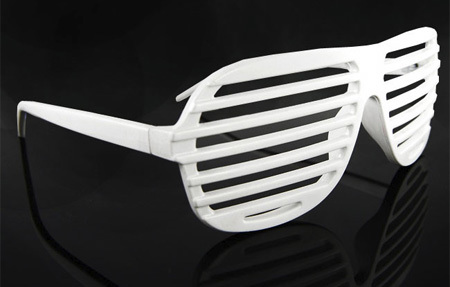 Shutter Shades made popular by Kanye West in the music video for his song “Stronger”. Unique A-Morir Barracuda Pyramid Stud sunglasses by Kerin Rose. 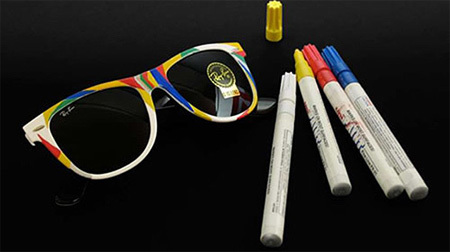 Ray Ban’s Colorize kit comes with markers and a pair of white-framed shades that you can customize. 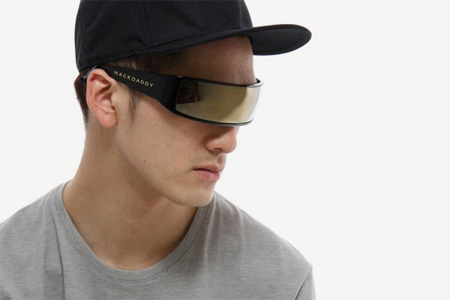 New-age futuristic “Line” sunglasses design from MACKDADDY. 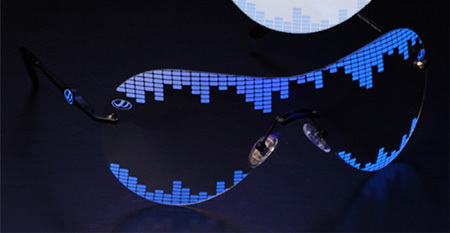 Watsget glasses look like regular sunglasses during the day and then light up under black neon lights in clubs. Designed by Zhu Fei during gold jewellery competition in Beijing. 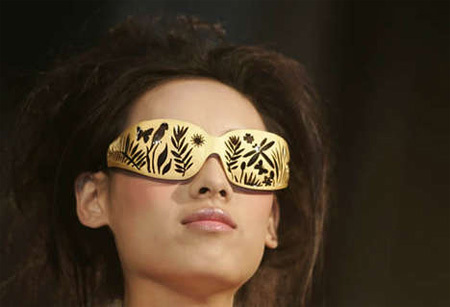 Cool melting sunglasses by Anna Ter Haar made for Klavers van Engelen fall/winter 2008-2009 fashion show. Hmmm. I can’t say that I would rock any of these, but I do appreciate the design initiative. The solar glasses are cool. 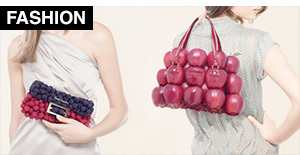 I can see this idea catching on and spreading to other accessories. 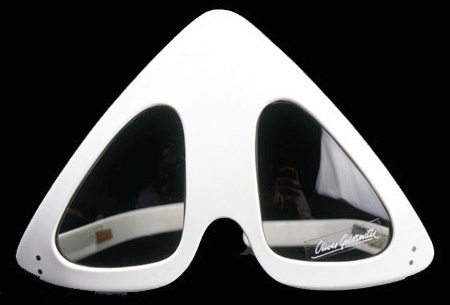 I also like the EQ night glasses for the club. 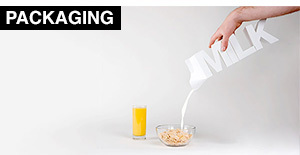 Very ingenious. Thanks for another interesting collection. I would so wear the Colorize Sunglasses, since I would be the one designing them. solar sunglasses…. because… um.. who doesnt enjoy staring at the sun? name’s kind of uh, teetering on a certain borderline. anything kanye west supports is a joke… kanye, you are not jesus, stop. …all the rest… sweet design. Wouldn’t really wear any, but the EQ ones are a cool idea. I think the solar ones are genius!! You could charge your phone whilst walking about! However, I doubt they’d be much use here in England… we never get any sun! love the eq ones! where can i get one?! 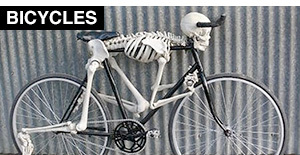 Well, I got some good ideas for a Halloween costume. I think I’ll go as a LA film star with ridiculously huge lenses on my face. Anyone want to pose as my entourage? 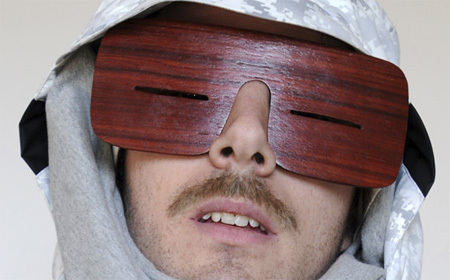 You forgot about Calvin Harris’s Fly Eye Spectacles. Hey Kanye, the 90’s called and want their glasses back. Seriously, they were out in the late 80’s early nineties, nothing new about them. I love the edgie design. 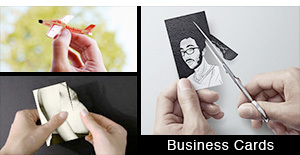 All are very creative and YES I wouldn’t mind owning a lot of them! some of these are badass and some are lame! Kanye West invented nothing, did we forget the 80’s??? Everybody had “slanties” formerly known as louvered. Old is new once again. Dig the blockouts and pyramid. they all look like something lady gaga would wear. 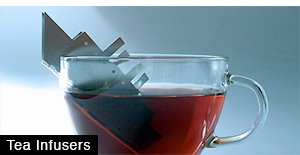 but they’re all very cool. the salnties eye wear makes the man look like he’s dum or blind (either can go) the Censor Bar Sunglasses are coooooooool, the Line Sunglasses makes the man look like he has only one eye, and the kanye west ones are ooooooooooooold n the steam punk and the Gold Chain Glasses are the best!!! The eq design is nice and all, but completely impractical. Wearing sun glasses, at night, in night club, in the dark, AND under a blacklight? First let me start with that i love all the glasses. My favorite glasses from 1 to 4. I would wear first the pyramid stud sunglasses, then the gold chain glasses, third censor bar sunglasses and last but not least the pyramid sunglasses! I love these glasses they are my swagg. If i can buy them please let me know. 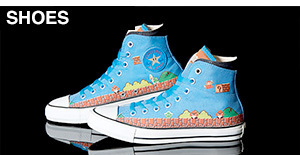 I would just die to have them. thanks Chrissy! I can see Lady Gaga wearing each and every one of these. Where can I get a pair of the vintage steampunk sunglasses shown.